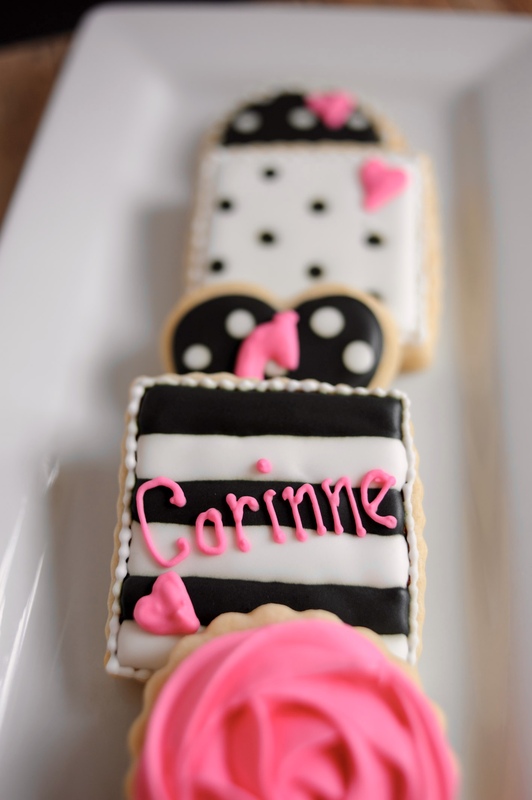 I must admit that when I was asked to make Kate Spade-themed cookies, I had to look it up. I’m not much into fashion and didn’t know who Kate Spake was or the style of her clothes (she’s a fashion designer, in case you didn’t know either). But once I got into it, I really liked the styles and enjoyed designing the cookies. For the cookie platter, I went with assorted cutouts decorated in black, white, and hot pink royal icing with dots, stripes and gold accents. I loved the way the swirl rosettes turned out. I piped them with a Wilton 1M tip and really stiff royal icing. 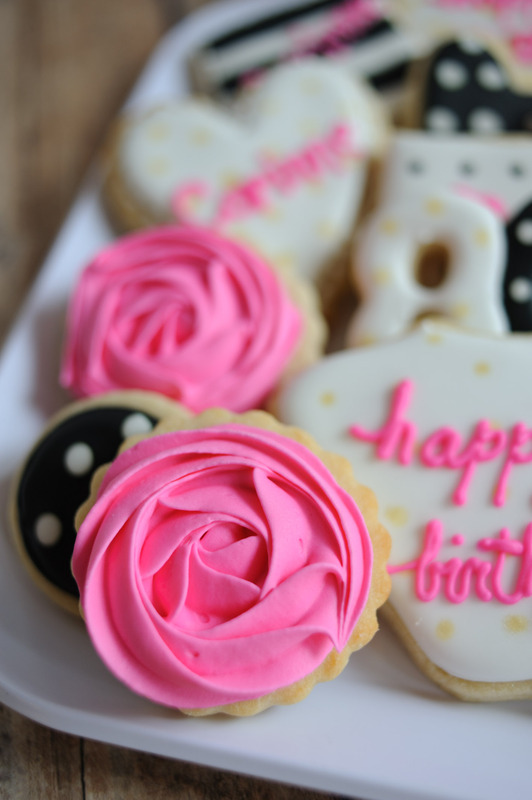 This cookie assortment was ordered by a sweet grand-daughter for her grandmother’s 80th birthday. Her mom picked them up and flew with them all the way to Florida, much to Grandma Corinne’s surprise. It was really neat to be a part of such a special celebration! Happy 80th birthday, Corinne! Hope you enjoyed your cookies!